Today, Diederik Veenendaal successfully defended his doctoral research at the Block Research Group, Institute of Technology in Architecture, ETH Zurich, Switzerland. The doctoral exam was chaired by the dean, Prof. Annette Spiro. 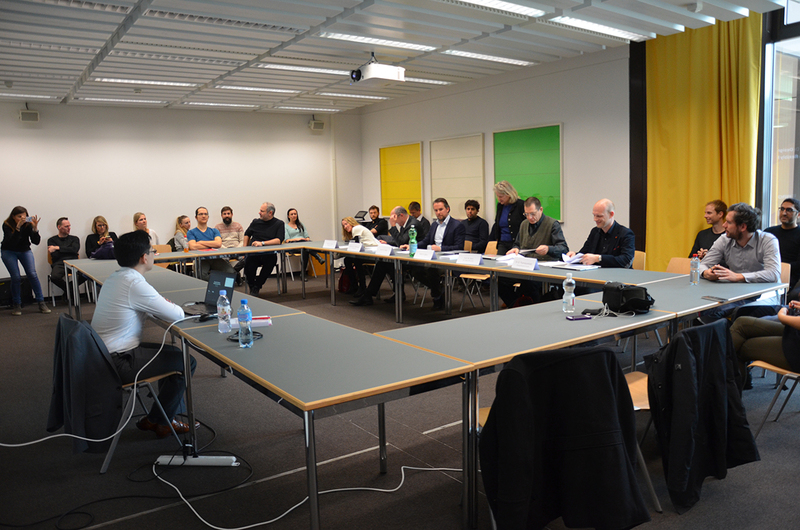 The examiners were his supervisor, Prof. Philippe Block, Prof. Mark West of MIT, Prof. Kai-Uwe Bletzinger of TU Munich, Prof. Kristina Shea of ETH and Dr. Bernhard Thomaszewski of Disney Research Zurich.